Functional and nicely appealing, this mp3 player case is made for Music-lovers who want to carry their favorite notes around with the style and freshness of Lantern Bug's creations. 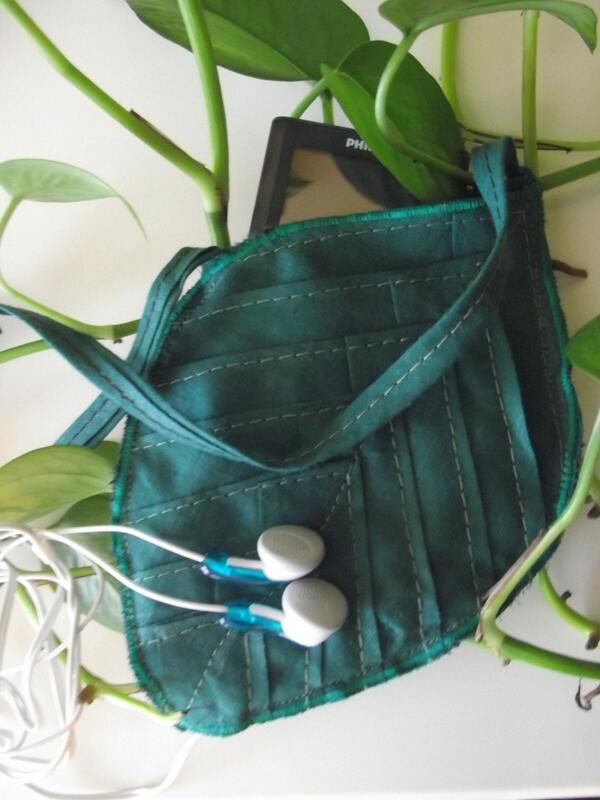 Green Leaf body is made of black adehesive cotton fabric, covered with applied dark green cotton ribbons on the outside, and bright green satin as inside lining, to gently wrap your mp3 player around and prevent any kind of aesthetic damage. Green Leaf is also endowed with a small opening at the bottom, so that you can easily plug your earphones.